We’re partial to a bit of moe, and being able to take said moe on the go whilst making people uncomfortable on public transport, even more so. As such, we love that Idea Factory International are bringing Moero Chronicle Hyper to the Nintendo Switch on April 26th 2019. 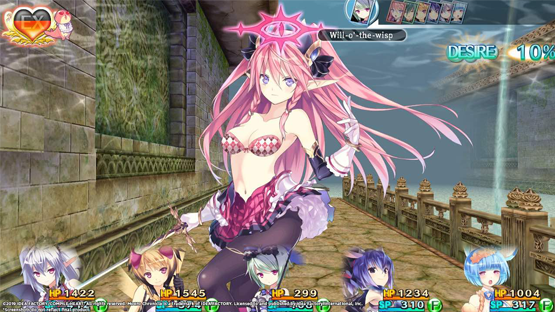 Originally released as Moero Chronicle in Japan and Asia on the PlayStation Vita, followed by a 2017 Western release on Steam, this dungeon-crawling RPG asks, “How cute can a monster be?” Fight through dungeons, recruiting Monster Girls, and building relationships with them in order to solve the mystery afflicting the denizens of Monstopia! Will you be grabbing (sorry) this title when it lands? Let us know in the comments, or on Facebook and Twitter, and check back for more coverage of this and other Japanese titles. Moero Chronicle Hyper is coming to the Nintendo Switch on April 26th 2019.